‘Tis the season when everyone begins to talk taxes and hope that that translates into a tax return so that means people in costumes waving at passing cars, contacting your “tax” guy, or seeing frequent adverts on social media. For many, it’s the first time and perhaps the only time all year that we consider reaching out to someone to help us with some aspect of our finances. However, we all know how complex, complicated, and time-consuming finance in all aspects of our lives, not just tax time, can be. Yet, we just scribble on stick-it notes, create “to-do” lists on notepads, or even worse make mental notes or simply “wing” it. And that typically translates into money problems we experience for the other 10-11 months outside of tax season. Imagine the benefits if we had total control of our finances all year round? Wouldn’t it be more prudent to pay attention to everything money related all year instead of pulling ourselves away when tax time comes about? What do we do now that we have a child in high school bringing up attending university? Or when retirement is coming around the bend? Or thinking of getting married, buying a home, or starting a family? Those are just as important, if not more so than “tax time.” Yet, we just address all the to-dos, milestones, projects, et al as they come. Assuming we aren’t procrastinators and we tackle them with fervor and zeal, we still rarely have the time to stop everything to attend finances, and often we aren’t 100% sure what the right decision to make is. Who hasn’t called mom or dad, that smart cousin, or asked around when it comes to something? We trust mechanics with our car, doctors with our health, carpenters, plumbers, and electricians with home repairs. We look to experts in those areas we don’t have the time to address or lack the know-how. So it makes a ton of sense to do the same with equally as important financial areas, doesn’t it? Like the doctor, mechanic, and roofer we aren’t sure who to trust, who is knowledgeable and will have a professional, courteous attitude. When it comes to personal and business finances who put all that together with the same precision and accuracy utilized with our taxes? 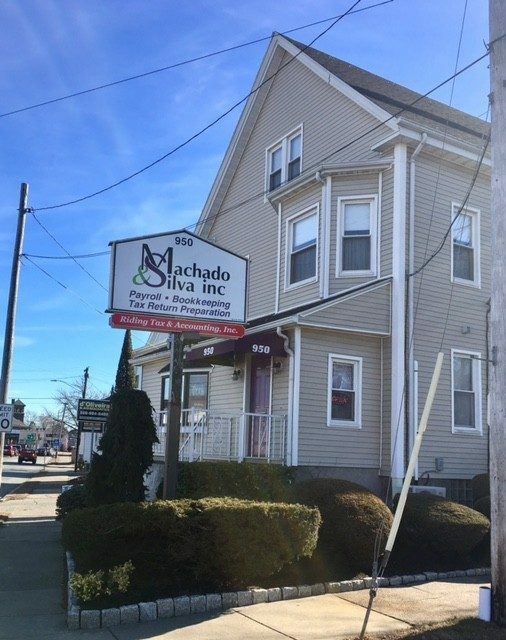 Machado & Silva had its roots nearly fifty years ago when founder Ken Machado opened the doors to the business. During Ken’s five decades of working in the accounting and tax industry, he served many clients who are still with Machado & Silva today. Ken’s reasonable prices, generosity and easy going nature attracted clients to him. His wisdom, guidance, and hard work kept them coming back. Danielle started working for Kenneth Machado in January of 1989, Machado & Silva was established in January, 2008 (Danielle & Kenneth became co owners). 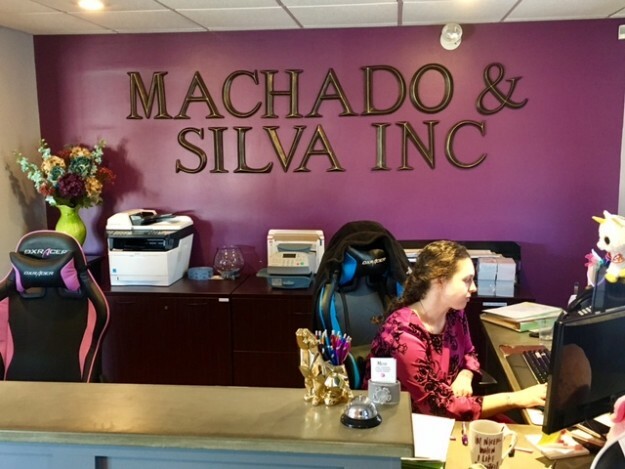 Machado & Silva became family owned in August, 2018. 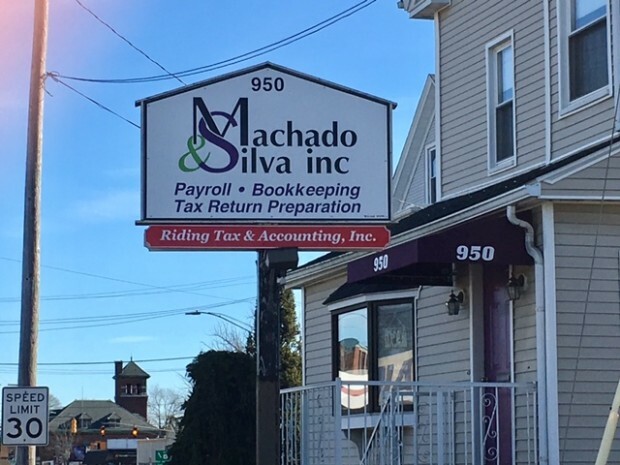 For nearly 30 years family-owned Machado & Silva have been bringing their experience, knowledge, and expertise to bear serving the community. Whether for local businesses or personal needs, debt resolution, financial planning and advise, budgeting, bookkeeping, retirement planning, selling a home or rental, accounts payable (paying bills on time, freeing up your own), accounts receivable (sending out and managing invoices), divorce taxes, estate and Trust taxes, and everything else under the financial sun is under their purvey. Owners Danielle Silva and Cameron Silva have a love affair with numbers for as long as they can remember – both have been doing nothing else since high-school. 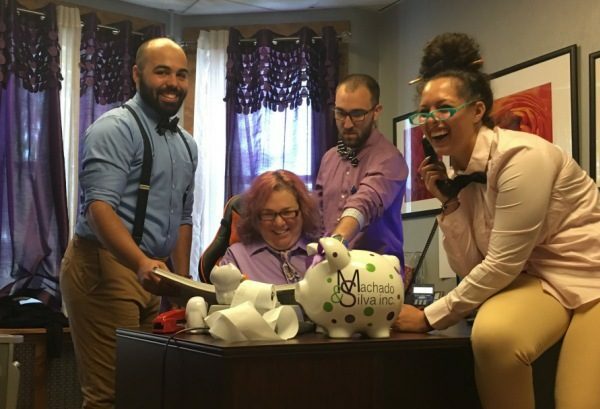 They and their staff of friendly experts – like Danielle (AFS), Joshua Leite (BA in Accounting) and Kelley Pereira- recognize that accounting is so much more than the numbers they crunch: it’s the relationships they build, the help and relief they provide, and the service to the community. All rewards unto themselves. They are friendly, professional, offer prices that are competitive and affordable, and are just flat-out, an office that cares. Owned and run by locals, for locals. When it comes specifically to tax time their single-minded goal is to be as accurate as possible and bat it out of the proverbial park when it comes to returns. To do this it is integral that they have the aforementioned relationship because it’s the only way to gain an understanding of the business and personal goals of their clients, to give the best advice, to ensure that the client makes the best decisions. You can read more reviews and testimonials here. Their helpful and easy to navigate website contains many common and most often used forms for free, as well as a client portal in addition to being an information resource. 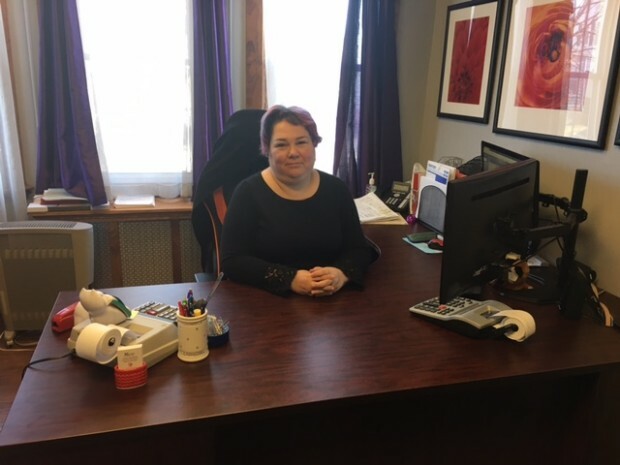 If you are looking for the area’s best in accounting, bookkeeping and tax preparation, executed by friendly, professional locals and offered in an affordable fashion then you’ll never need to look any further. 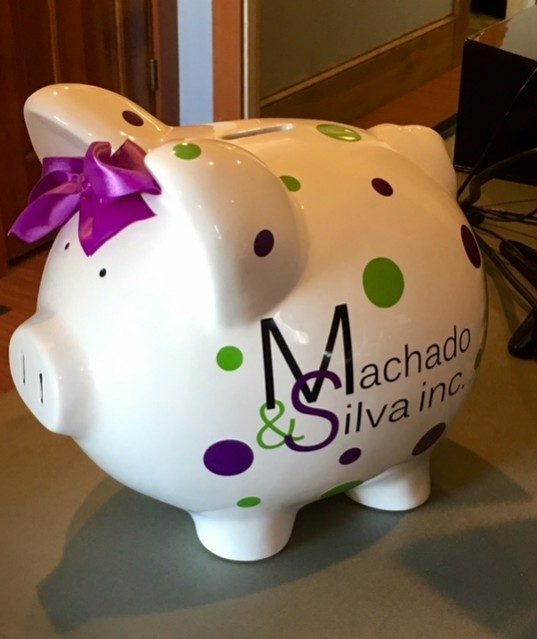 You can trust that Machado & Silva, Inc., have your best interest in mind.